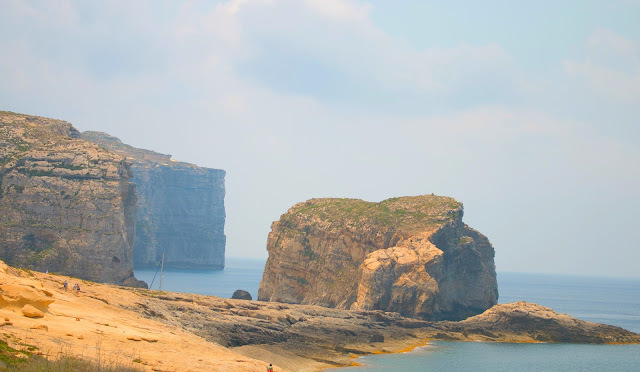 Gozo means 'joy' in castilian and I can think of many reasons why the island's Spanish invaders thought it was a joyful place. 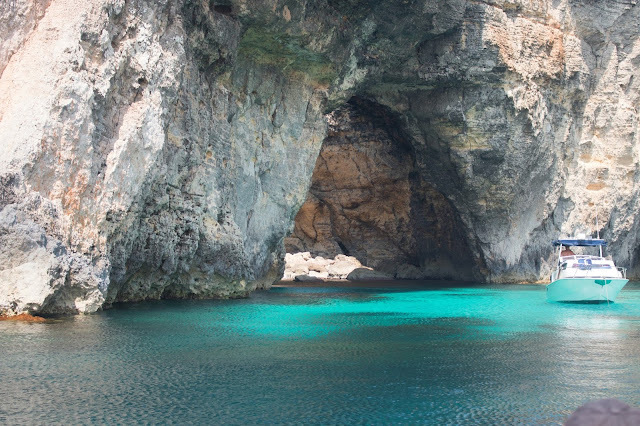 A short sail from the Maltese mainland, Gozo is the second largest island within the archipelago. It is smaller and sleepier - both of which adds to its charm. 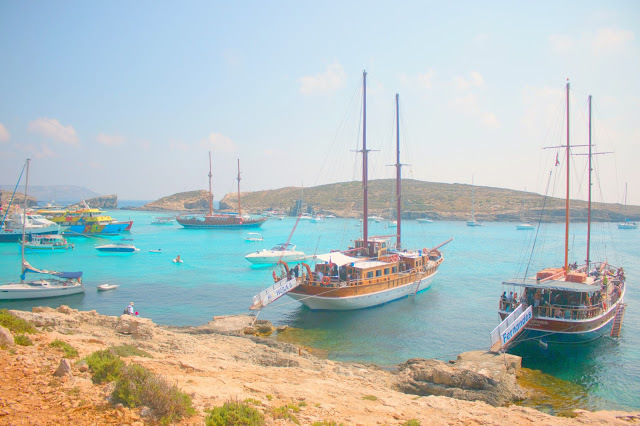 Comino is a tiny island near Gozo and is surrounded by stunningly turquoise waters and worth visiting en-route to or on the way back from Gozo. 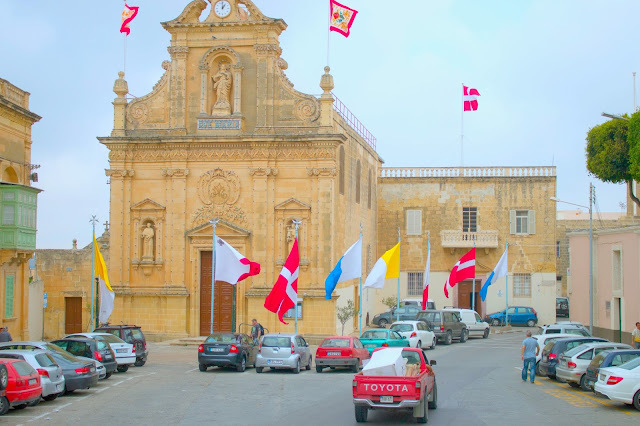 You can get to Gozo using the local buses from Malta but our friends warned that this could be long and time consuming. so we decided to go with a local tour group instead - it wasn't expensive and we had a clear plan for the day. 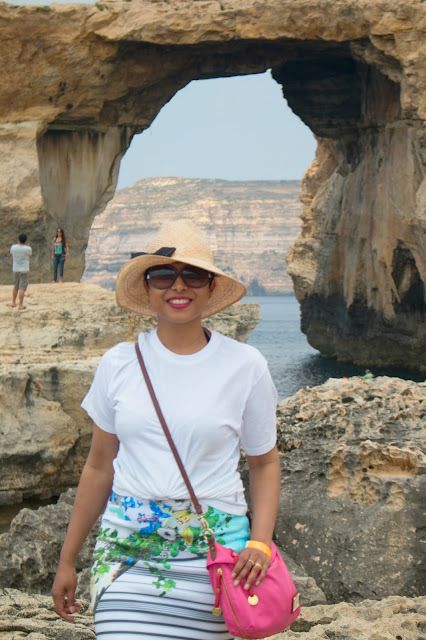 We stopped by Gozo's main town Victoria (locally known as Rabat) for a walk around town - a coffee and bite before heading to the stunning rock formations of Dwerja Bay. It was heaving with tourists (like us!) but a wonderful place nevertheless. Gozo felt more Arab than Italian - I think it was partly the landscape and partly the architecture. Our tour guide took us on a bus ride across the island and pointed out a number of different structures, temples and forts. After spending all morning and the early part of the afternoon in Gozo, we stopped by Comino for a few hours of swimming and jet skiing. The jet ski took us closer to the cave formations around the island - it reminded me a little of a similar tour of Islas Ballestas in Peru. 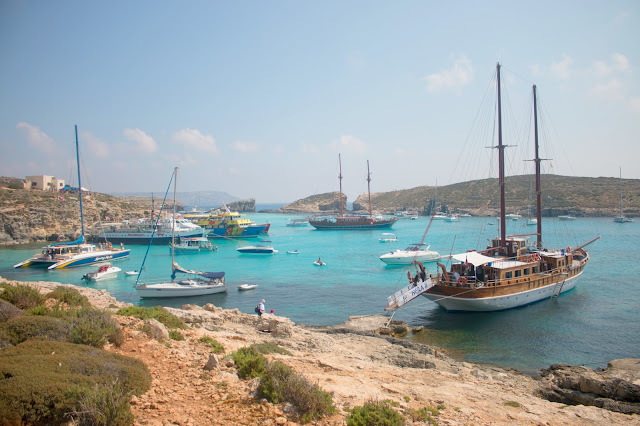 Comino is delightful - I wonder why the Spanish didn't come up with an equally joyful name for it - instead they named it after cumin! Having lived with not a lot of sun in Scotland for over a year - I got badly sunburned on Comino ( yes, brown people do get sunburns!) 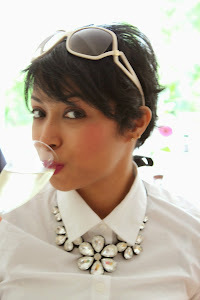 whilst hanging out by the water and despite factor 50 on. All I can say is keep topping up that suncream if you happen to visit - especially on a summer's afternoon! 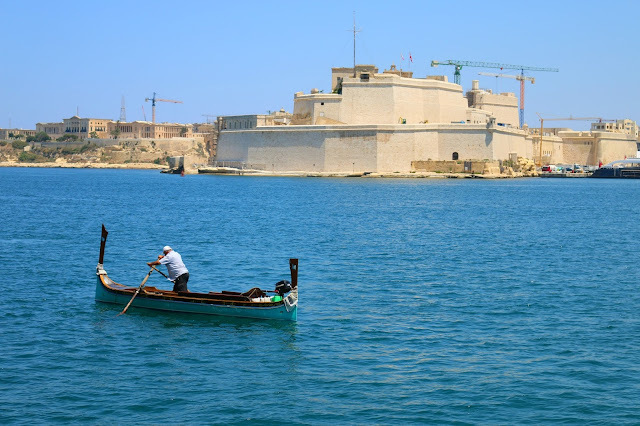 I do recommend making some time to visit the islands if you're heading to Malta - but try avoiding a DIY tour using public transport unless you have bags of time. Wearing Muji t-shirt, Clover Canyon skirt, Helene Berman straw hat, Marc Jacobs bag, Tom Ford shades and Toms shoes. Hi Ann, I'm going to Gozo in September if I'm organised enough. Will avoid DIY tour though like you recommend!